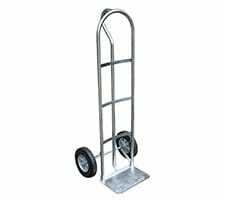 The "P" style hand trucks are ideal to transport heavy and awkward loads weighing up to 500 lbs. These trucks works well for the user that needs to free up one hand. The "P" shaped handle is easy for anyone to steer or maneuver. 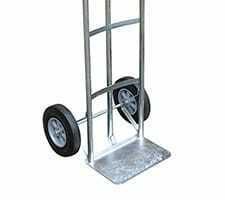 This unit rolls smoothly on your choice of 10" x 3-1/2" pneumatic wheels (option of 13" x 4" pneumatic wheels also available) or 10" x 2" hard rubber wheels. 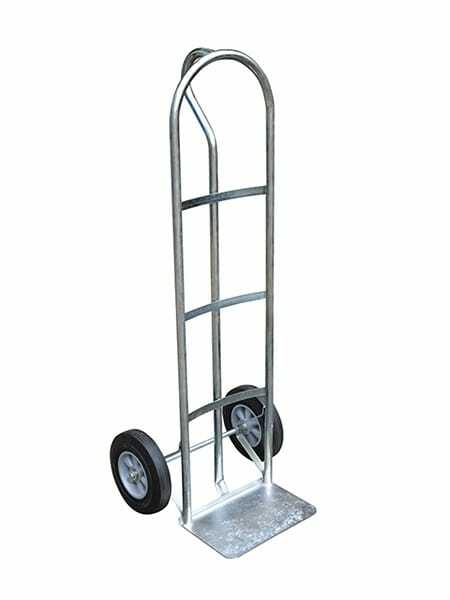 Overall sizes are 21" x 18" x 52" or 22" x 19" x 52"
This convenient skatewheel conveyor is infinitely configurable and flexes to accommodate any situation. These high-quality forks comply with all ITA requirements and can be made to fit virtually any lift truck. The g-perf step style is a good all around step design. 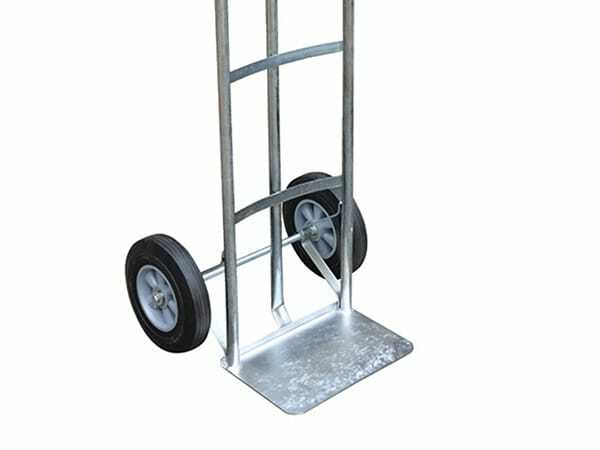 This ladder is an ideal solution for stocking and picking items. 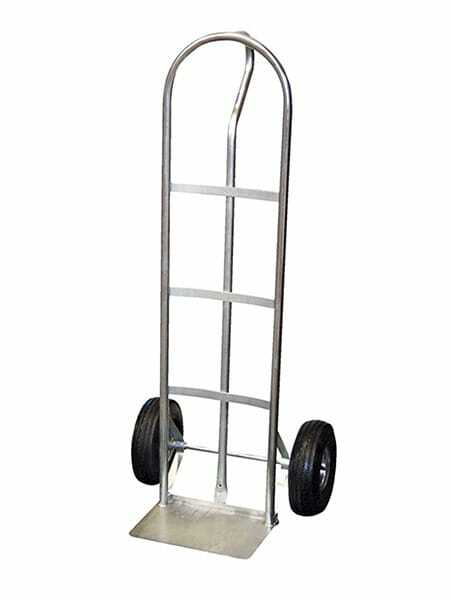 This standard "P" handle hand cart is used for transporting small loads of boxes and packages. 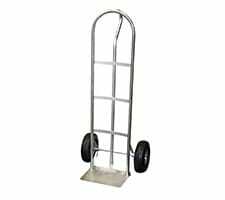 I got 6 of these P-handle Hard Rubber wheel units. They are heavy duty, & all came on one pallet. Simple assembly, just slap the wheels on & you're ready to move your product. & a great price!